A lovely composition, Ann! V.
Lovely shot, and every typist's nightmare! Amazing light and color plus composition. Lovely. Don't know if I remember the original, but this is wonderful. 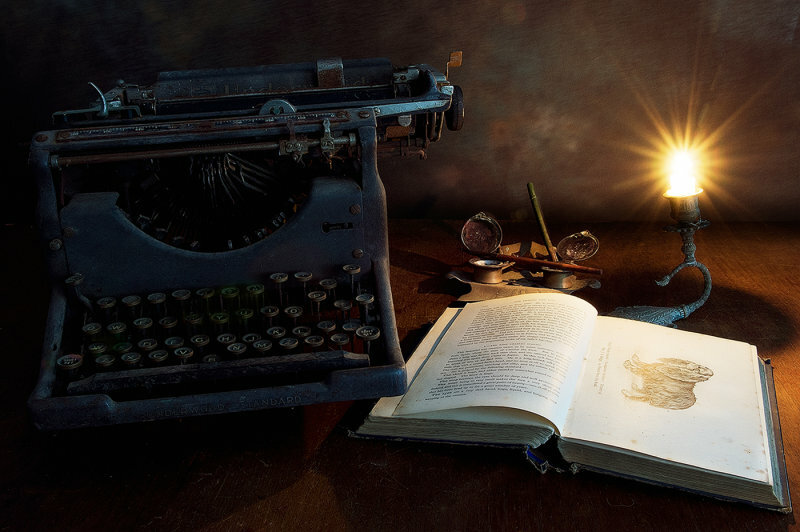 Interesting still life.. To think that typewriter was once the state of art technology. I am getting old as I remember those times. Ink wells, pens with nibs, the old Underwood typewriters, not many candles though! Oh yes, this ia so well done! A very beautiful image ! The light, the colors and the objects create a very nice mood. V.